One man was stabbed in the neck while the other was injured in his abdomen. Two men were stabbed and robbed in the Sinoville, north of Pretoria on Friday evening, reports the Pretoria North Rekord. It is alleged that vagrants were responsible for the crimes. 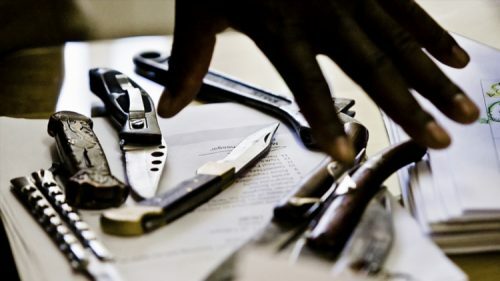 Chairperson of the Sinoville Community Policing Forum (CPF ) Vernon Smith said the first incident took place between 8pm and 9m where a victim was stabbed in the neck. Smith said the man was badly injured and could only identify that one of the attackers was wearing a leather jacket. “He was rushed to the nearest hospital for treatment,” said Smith. The suspects fled with the victim’s cellphone and R100 cash. Smith said, shortly after this incident and only a few blocks away, another man was attacked. “A security guard in the area heard someone screaming for help,” he said. He further stated that the CPF members who were out patrolling the area in search for the suspects involved in the first attack quickly responded to the scene of the second attack but the attackers had already fled the scene. The security guard apparently heard the victim plead with the attackers not to kill him. The victim was seriously injured in the abdomen. Smith said they believed that four suspects were involved and that the same people were involved in both attacks. The second victim also described one of the suspects as wearing a leather jacket. Smith said both victims were recovering in the hospital. “Vagrants are a big problem in places where people do not fence their plots and along large open fields,” said Smith. “We are calling on residents to fence their plots and cut the grass short so vagrants will not be able to hide. The CPF will soon launch a cleaning project to uncover the criminals shelters and to drive them out.